At the moment, my favorite Finnish word must be kesä: summer! 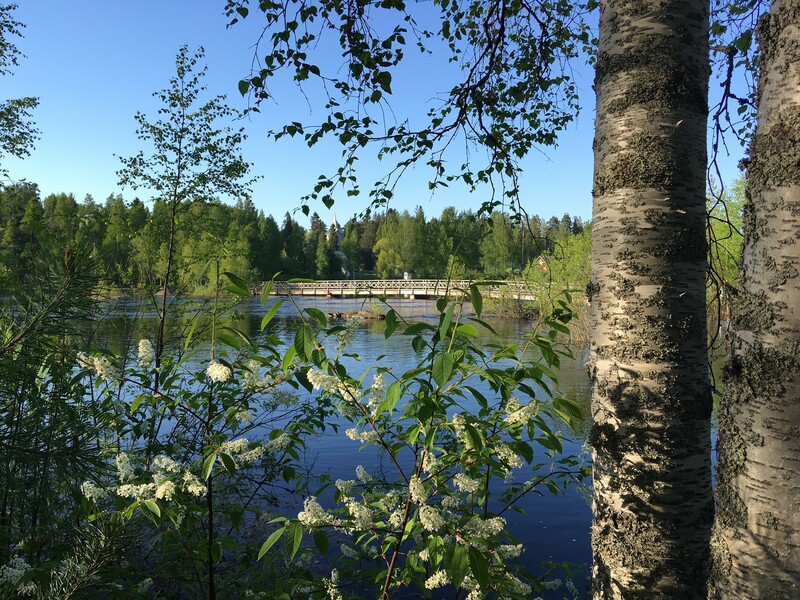 After months of cold and icy, yet exceptionally beautiful winter-wonderland-weather, the temperatures have turned around and Finland has put on it’s pretty green summer dress. Within only a few days the ice melted off the lakes, the piles of snow disappeared (there were trucks helping with that), and the leaves started to grow. And yes, in Finish there is a unique word for the first, tiny, bright green leaves, and it’s adorable: hiirenkorva (literally: mouse ears). 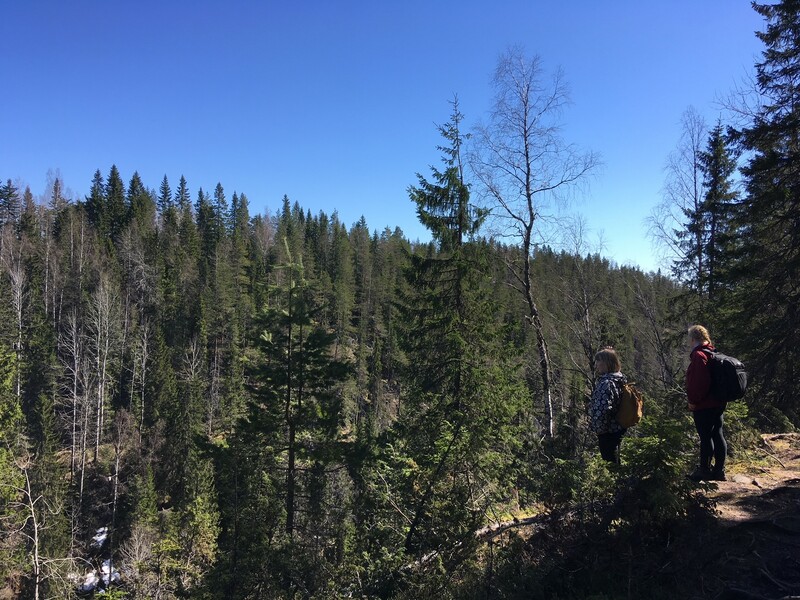 Walking in metsä (forest) and among the koivut (birches) now feels like a completely different world. Sometimes I can’t believe that it is only a few weeks ago that it was talvi (winter), and I was in those very same forests pursuing murtomaahiihto (cross-country-skiing) – one of the great Finnish hobbies I had never done before and came to love so quickly. What amazed me the most when it comes to the Finnish working environment are the happy and healthy ways people are working together. Everyone I have met here has been interested in a genuine conversation and cooperation, people share laughs as often as they can and look after each other. This (together with the pretty Moomin souvenirs and other things I couldn’t resist) will be what I take home from this experience, and keep dear to myself for my own (working) future. Living in Joensuu and working for UEF has not only been an amazing opportunity to learn, but to make new ystävät (friends) for life. One of my first happy Finnish memories is the 14th of February which in Finland isn’t celebrated as a commercialized day for lovers, but with the words hyvää ystävänpaivä (happy friend’s day). So much better, so true. 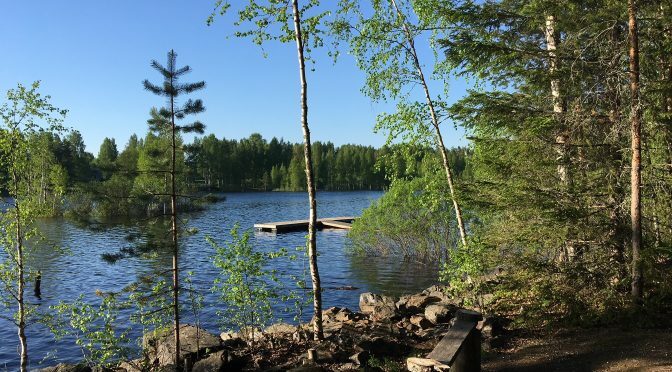 I have found my Finnish friends in many different places: in the office over kahvi (coffee) and pulla (sweet buns), during busy times organizing the brilliant SciFest combining tiede (science) with taide (art), and – of course- in sauna (sauna). So, now I am departing with a heavy heart, for I will surely miss all these nice people, but at the same time I am already looking forward to the first time I can come back to visit Joensuu or welcome my friends back in my home town to tell them tervetuloa (welcome) in return! What I want to say is kiitos (thank you) for all the great experiences, supervision, challenges, laughs, hugs, and memories I can take home. And maybe, lastly, “no niin” which (as I have been told) doesn’t have one real translation, but usually just sums up your feelings in a particular moment. Be it “okay, let’s do this,” “oh, well,” “yes, great,” or “oh no!”. I feel like no niin. Kaksi (2): Be outside! 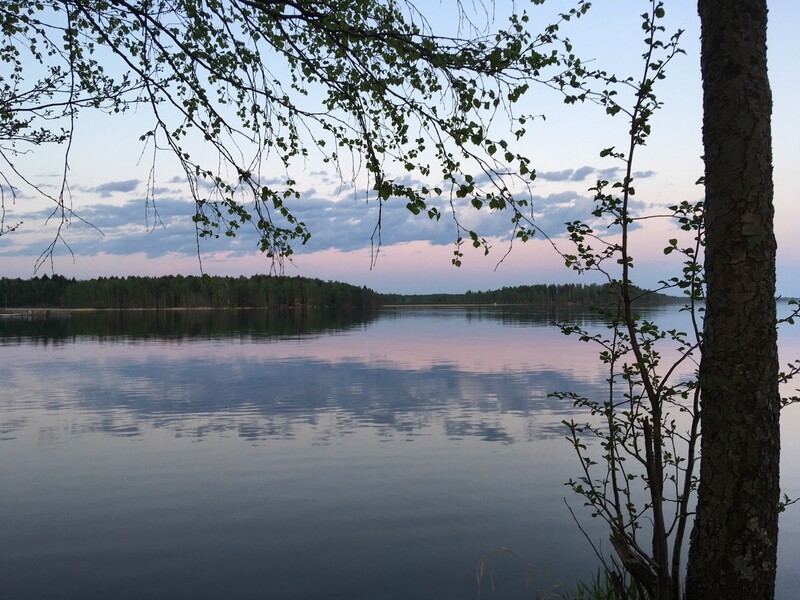 It doesn’t matter if you are visiting Finland in summer or winter, its nature is what makes this country so special. Kuhasalo, Utransaari, Lykynlampi, or Koivuniemi are close by, easily accessible and simply beautiful. Kolme (3): Try everything that is recommended to you. Try all the sporty activities:try cross-country skiing, go hiking in the forest and swimming in the lakes (frozen, or not), try sauna, and snow-swimming-after-sauna. Try even Salmiakki. Honestly, the salty licorice is quite terrible to my taste. But you have to at least try. It also comes in chocolate, ice-cream, or beverages. Kiitos, Suomi, for being hot & cold, exciting, adventurous, educating, and altogether excellent. Nädään pian (see you soon)!